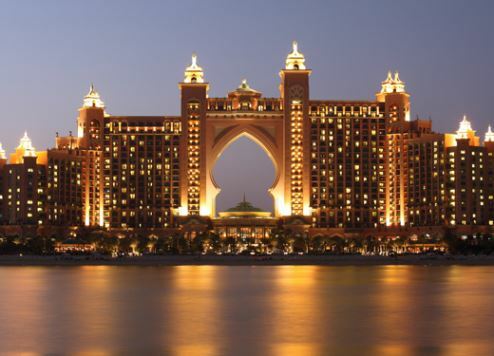 Dubai's Atlantis, The Palm is ploughing US$100 million into a major refurbishment programme. Work has already started on the revamp, which will see the iconic five-star resort's 1,539 rooms and suites get a brand new look. Running for three years, the refurbishment plan will see 50 rooms and suites revamped every six weeks with 2019 earmarked as the completion date for the programme. The contract for interior design of the guestrooms was awarded to UAE design studio WA International. The makeover involves the installation of contemporary carpets featuring a design reminiscent of turquoise and azure seas with shades of coral, according to the resort. Each guestroom will also be equipped with 49-inch flat screen televisions, proximity reader key systems and many more convenient features. The refurbishment will also cover guest balconies while the bathrooms will be re-fitted with Greek Didyma marble basins and free standing bathtubs. The hotel's all-day dining restaurant Kaleidoscope is also currently under renovation and is set to unveil a brand new look when it re-opens in September this year. Atlantis also plans to re-design of Ayamna Bar, Nasimi Beach and The Imperial Club. One of Dubai’s most recognised landmarks globally, Atlantis, The Palm is a destination in its own right. The pink mega resort reported an average occupancy rate of 93 percent during the first five months of 2017, up 11 percent on the same period in 2016. The hotel said the figures were boosted by competitive room rates and an increase in the number of guests from Russia, China, India and European countries such as France and Germany. “We had a very strong five months that significantly exceeded our expectations and April was our strongest month since the opening,” said Serge Zaalof, chief operating officer at Atlantis Resorts & Residences.